Nastarin and Sevinch Mahmudova are no strangers to technology. The sisters were curious about the digital sphere from a young age. “From my childhood, I adored coding. It was so interesting to me,” says Sevinch, 17. “I had a neighbour who was a programmer and he taught me how to code.” She was 12 years old, and her love of science and technology has only grown since then. When she and her sister heard about Technovation Uzbekistan, part of a worldwide tech contest for girls in IT, they knew it was for them. After all, they already had an idea of the app they wanted to build: something to help families with children diagnosed with Down Syndrome. 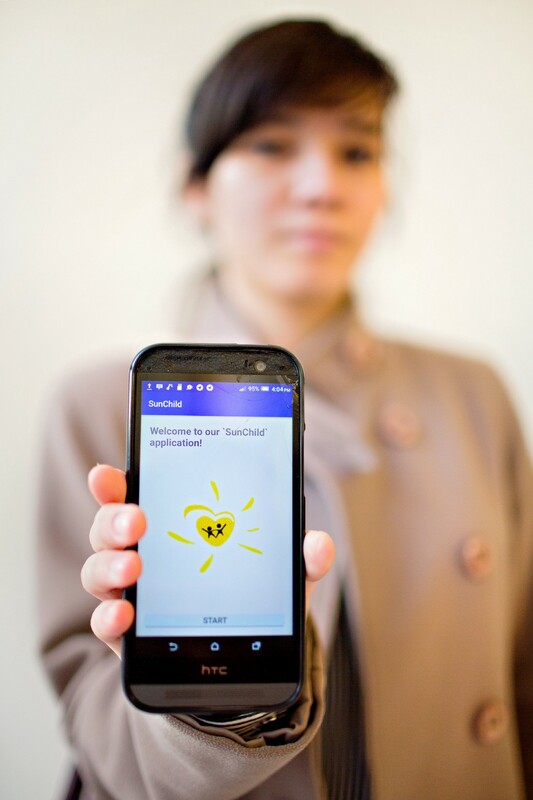 Sevinch and Nastrarin’s phone app , Sunchild, they entered in last year’s Technovation Challenge. They both adore their brother, helping him with his homework and drawing, his favourite activity. On the weekends, they spend as much time with him as possible — going out to museums, shopping malls and cafes. They make their brother smile and laugh; playing chase and taking photos on their mobiles. It was only natural to do something for Ahmadjon, so they made Down Syndrome the focus of their pitch at Tashkent’s 2018 Technovation Challenge. Their ‘Sun Child’ app features a questionnaire by American professors that helps determine at what stage of development is a child with Down Syndrome. 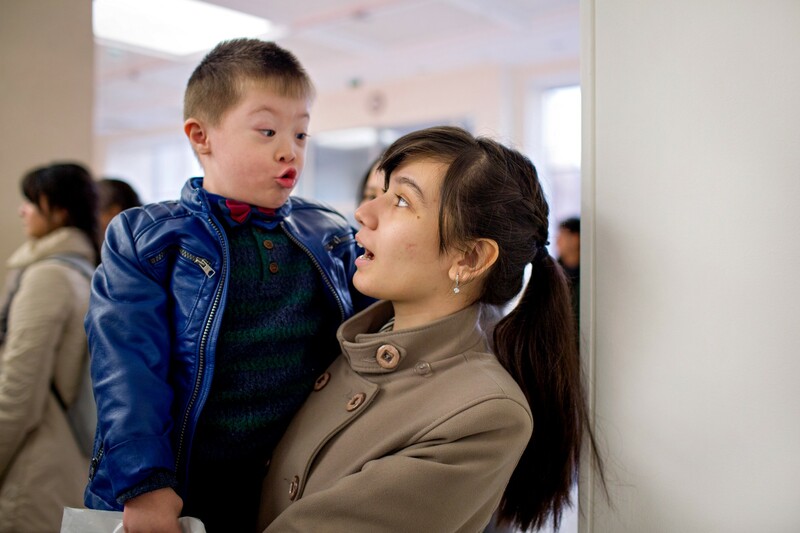 It also includes a multimedia section with informative videos, and a consultation section where people can find doctors who are knowledgeable about Down Syndrome. 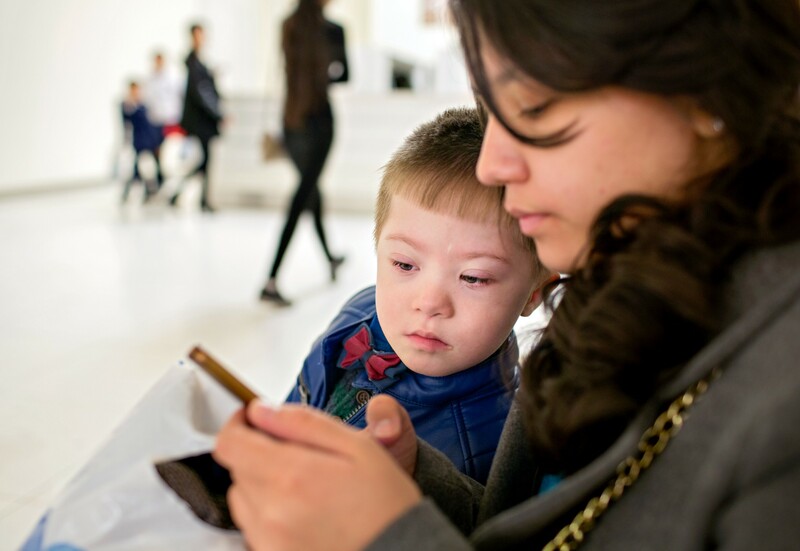 Their ‘Sun Child’ app features a questionnaire by American professors that helps determine at what stage of development is a child with Down Syndrome. Sevinch Mahmudova participated in last year’s Technovation Challenge along with her sister where they created a telephone app to assist families with children diagnosed with Down Syndrome. Building new technologies is not only coding, but also developing business plans and pitches. Nastarin, who loves and specializes in languages, wrote the business plan for their app pitch at Technovation. “It was very interesting for me, it revealed my unseen talents. I really want to launch my own business in the future,” she says. Their idea was successful — the app they developed made it to the Uzbek semi-finals and was selected for the virtual global semi-finals. In their Technovation Challenge “class” were 150 other 14–18 year olds. It was hosted by Tashkent’s Inha University, which specializes in technology, industry, and business. 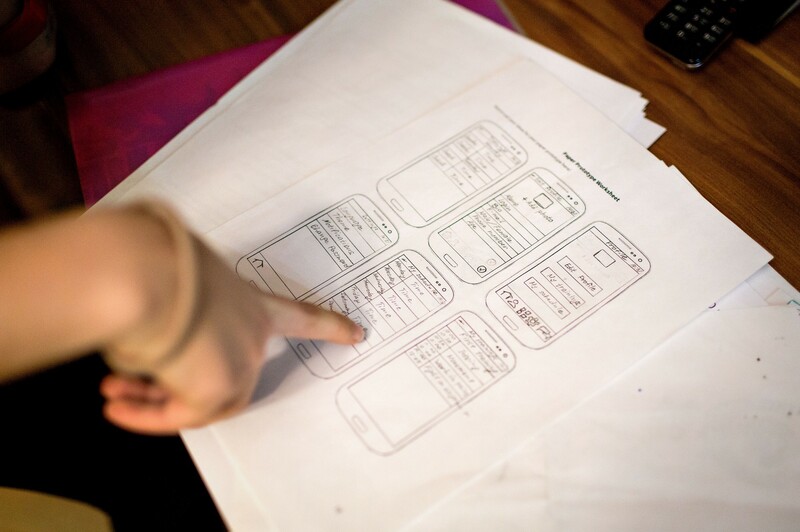 Sofia Rakhimova, 16, a Technovation Challenge participant, explains her app design. Shakhzoda Sattorova, 18, a first year student at the university, also participated. Her app prototype allows people to photograph trash dumped on the street and connect it to a trash collection company. Young women who participated in Technovation Uzbekistan outside of Inha University. Technovation Uzbekistan is part of a worldwide technological contest for young girls, which aims to bring more girls into IT, business and entrepreneurship. After decades of an authoritarian government, Uzbekistan’s new president Shavkat Mirziyoyev is dedicated to move the country towards a future shaped by development, investment, and technology. The latter is quickly emerging as the country’s ticket to not only eliminating corruption but also to empowering women. Other women in the tech sector are taking notice. 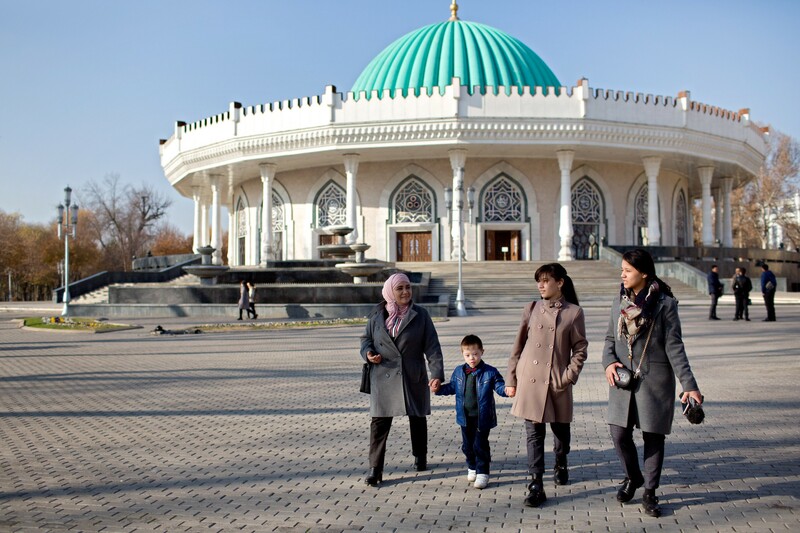 TechWomen, a Silicon Valley group that focuses on knowledge exchange and professional development, has chosen Uzbekistan as one of the two countries to host a week of educational programming for women and girls in 2019. To help inspire this movement, in 2017 UNDP and UN Uzbekistan and partners conducted the first annual Technovation Challenge in Tashkent for young women to create socially conscious applications. And their partner, Inha University, has prioritized women in technology, resulting in a 30 percent increase in women students studying innovation. 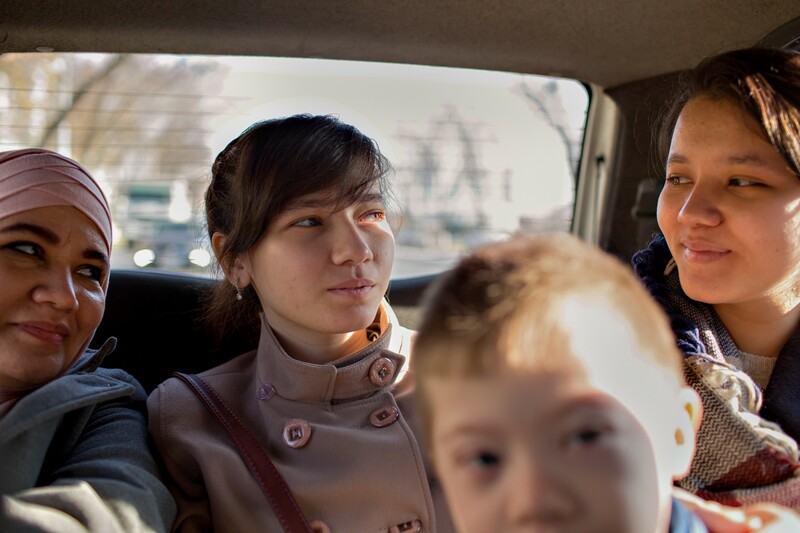 Sevinch, centre, and Nastrarin, right, adore their brother, who rides in a taxi with them and their mother. On the weekends, they spend as much time with him as possible — going out to museums, shopping malls and cafes. On the weekends, they spend as much time with him as possible — going out to museums, shopping malls and cafes. For Sevinch and Nastarin, it just boils down to what they love, for the people they love — their parents, who support them wholeheartedly, and their cherished Ahmadjon. “Our motivation was our brother. When we see him, we are happy. We get energy from him, and it was very special for us to create something for him,” says Sevinch proudly.